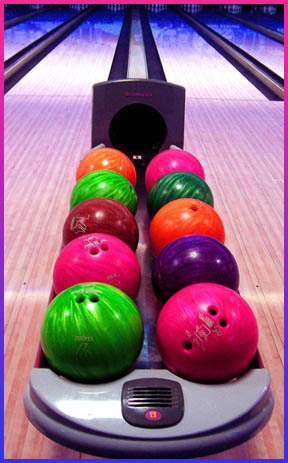 Join me at the GRL Torquere Press Bowling Party! Hello all! Torquere Press will be hosting a bowling party at GRL on Saturday starting at 5:00 pm over at the Fun Connection (just across the parking lot from the Hard Rock), and I'm so excited to be a part of it! Authors will be hosting their own lanes and there's a limited number of attendees per lane. Each author will have swag for attendees, along with a prize for the highest score on their lane. Torquere Press will also have swag, books available, and a $100 gift certificate for Torquere Books for the highest score on all the lanes! Want to join the shenanigans? Email kristi (at) torquerepress (dot) com with your full badge name, let her know you want to attend, and if you have a specific author you want to be assigned to. If you are NOT bowling and just want to be a spectator please specify that. The authors may not have swag for every spectator however if you are on the list, Torquere will have a goodie bag for you! 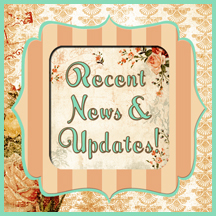 Recent News, Updates, &amp; Free Printables! Hello everyone! I thought I'd post a little update of what's been going on in Charlie's world over the past few days. I know my posts have been sparse, but I've been tap, tap, tapping away at my keyboard getting some writing done. ♥ First, I'm super excited to announce that my Christmas story Mending Noel has been contracted to be part of Dreamspinner's Evergreen Advent Calendar anthology. It will also be sold on it's own afterward. There will be more about this story soon, including sneak peeks, so keep an eye out for that! ♥ While working to finish Julius' book, I've also finally finished my short story Between the Devil and the Pacific Blue which I started back in March. I'm always working on more than one thing at a time, but if I get stuck, I don't push it, because I know I'll get back to it eventually. That happened with this little noirish tale, but the other day out of the blue it hit me, and I managed to finish it. It's off to the betas now before I submit it, but I'll make sure to keep you all updated. You can read an excerpt on this post here. ♥ I've also been getting all my swag together for GRL, slowly but surely, and I put together some mini bookmarks. I might get some additional ones made to give out on the blog, but in the meantime, I thought I'd post them for folks who fancied printing them at home on a piece of card. They measure 1.18 x 5.313 inches and the resolution is 300 dpi, so should come out nice and crisp. Check them out on the Freebies page or click here. ♥ Don't forget you have until Thursday, Sept 20th to enter H.C. Brown's giveaway. 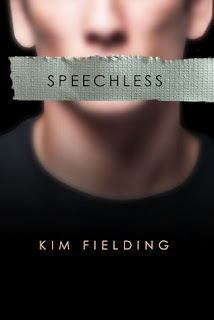 Just leave a comment on her post for a chance to win a book from her backlist! Check out her post here. Cowboys and Kilts! Oh My! Hello all! I am so excited about attending this year's GayRomLit, and as an author no less! I've been a busy bunny getting all my swag ready while simultaneously trying not to get all swoony over the fact that I'll get to meet all those amazing authors and publishers whose books I love. I'm sure there will be many a fan girl moments. Join me over at SJD Peterson's Blog where I'll be answering some fun questions about my first time at GRL! There's talk about stalking, cowboys, and Damon Suede's kilt! Don't miss it! In His Corner is now available! Hello everyone! I'm pleased to announce that my short story In His Corner is now available for purchase from Torquere Press as part of their Annual Charity Sip Event. 100% of the proceeds from the sale of this story is going to NOH8 with Torquere Press matching the donations. Check out all the authors who are taking part in this wonderful event here. In His Corner takes place during the 1920s at the height of boxing, and centers around Eli and his hero-- a rough-around-the-edges boxer, whose career is a far cry from what it was five years ago when he was the World Heavyweight Boxing Champion. When Eli’s uncle Jasper mentions needing a cornerman for former World Heavyweight Boxing Champion Jessie “The Demon” Dalton, Eli jumps at the chance. Having had his heart broken by the man five years earlier, not only is Eli determined to get some answers, but he has no intention of letting Jessie push him out of his life a second time around. However when he comes to face to face with Jessie, it becomes very clear to Eli how much Jessie needs him in his corner, and in his life. All he has to do is convince Jessie of that. "You're going to freeze something off standing there like that." "Jesus!" With a sputter, Jessie pushed away from the wall, and instinctively threw his hands over his groin to maintain whatever dignity he had left. Despite being successful on that venture, he couldn't see a damned thing. His hair was plastered down over his eyes, and when he tried to blow it away, Eli's chuckle told him he was getting nowhere fast. "Here, let me help you." Eli's voice was soft, sweet, and not at all helpful to Jessie's current predicament. He felt tender fingers across his brow and soon he could see again. "What are you doing in here?" Jessie took a small step away from Eli, who was standing there giving him the up and down, which again, wasn't helping him any. "You forgot your towel," Eli replied innocently as he held out the item in question. Jessie quickly snatched it away, and looked down at himself. "You're going to need both hands," Eli added, a devilish gleam in his bright eyes. So much for the kid being shy around him. Ignoring Jessie's protest, Eli took the towel back from him, and closed the distance between them. As he wrapped the towel around Jessie's waist, Eli pressed himself against Jessie, and -- being the dope that he was -- Jessie couldn't keep himself from looking down at the kid, a gesture that had their lips nearly touching. All Eli had to do was lean in. To Jessie's relief, and perhaps even disappointment, Eli pulled away. Jessie did as instructed, and Eli secured the towel tightly. With a nod of thanks, Jessie cleared his throat, and motioned toward the door. "You should go. Someone's bound to come in here any moment." "So? I'm your cornerman. Besides, it's not like you fellas don't all shower in front of each other." "That's different," Jessie murmured, telling himself he was too old to be getting sappy. Taking the initiative, he walked around Eli and back into the locker room where his clothes were. Again, the place was empty. Usually the closer it got to dinnertime, the busier the locker room was, but today, of all days, no one was goddamn hungry. Typical. "How's it different?" Eli asked, following close behind. "You know how so. Don't be a pill." Jessie swiped his underwear up from his stack of clothes, turned, and nearly collided with Eli. For crying out loud, why did he have to get so close? "No, I don't know," Eli said, crossing his arms over his chest. "I thought I did, but then I remember the blonde who opened your front door in her nightie." "Nothing," Eli said with a sigh. "Never mind. I'll wait for you outside." 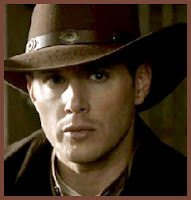 Before Jessie could so much as utter a syllable, Eli was gone. Great, now the kid was in a lather with him and he had absolutely no idea why. Next time he saw Jasper, Jesse was going to strangle him. Quickly, he got dressed, then pulled his bag out of his locker, snatched up his jacket and cap from the coat rack, and thundered out of the gym. Now he had a nice long ride into Manhattan to look forward to. That wasn't going to be awkward at all. Available for purchase from Torquere Press here. and Rainbow eBooks here. For 2012-2013, Torquere's authors have chosen the theme "Leather Bound" in honor of Torquere’s ninth anniversary. The ninth is traditionally the leather anniversary, what better theme to let GLBTQ writers go wild. The charity which will benefit from this year’s Charity Blitz is NOH8, whose mission is to promote marriage, gender and human equality through education, advocacy, social media, and visual protest. More than twenty five authors have written short fiction pieces and have agreed to donate all proceeds of the sales of these stories to this year's charitable organization. 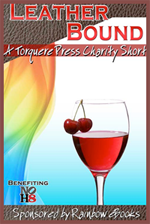 Torquere Press Inc. will match the authors' donations completely. 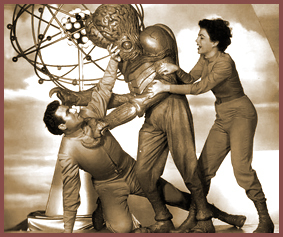 Men From Mars! No, Not Really. Hello all! I know, it's been a few days since my last post, and I assure you I was not abducted by Martians. Aside recuperating from my happy fun time surgery, I've been working on A Rose By Any Other Name (Julius' Book), which I promise I am very close to finishing. I know I keep saying that, but I really am, and you know why it's been taking me this long? Because it's my first full-length novel at 60,000 words, and hopefully (fingers crossed), it'll be my first print book! I promise to keep you updated. ♥ I've also been putting together all sorts of nifty little bits of swag for GayRomLit, which I am so excited about. ♥ Make sure to drop by SJD Peterson's blog this Thursday the 13th where she's asked me some fun questions about my first time attending GRL, including my thoughts on Damon Suede's Kilt! 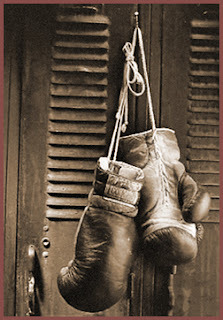 ♥ Wednesday September 12th, my Historical short boxing story In His Corner will be released as part of the Torquere Press Charity Sip Blitz. Not only are all the royalties from this story being donated to NOH8 (as with the rest of the stories in this event and the anthology) but Torquere Press will be matching the donations. If you'd like to find out more about In His Corner, just click here. ♥ I'm also pleased to announce that starting at the end of the month, I'll be having guest authors dropping by to chat about everything from their writing process to the inspiration behind their latest releases. You'll find the schedule on the sidebar, so make sure to keep checking back for new additions. ** M/M Authors: if you have a Historical you'd like to chat about here at The Cat's Pajamas, just drop me an email! 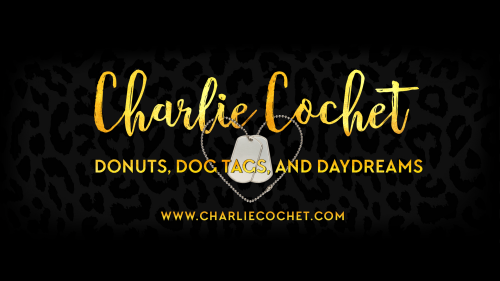 At the moment, it's all about Historicals, whether they have elements of paranormal, sci-fi, fantasy, or any sub-genre, but I will be opening the blog to guest authors of all other genres soon, so stay tuned!